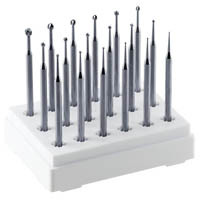 The handpiece is a key tool is any dental practice and its job is to power the Dental Burs and Bur Systems that are used to prepare teeth, access roots and provide surgical care. 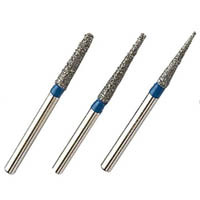 Dental burs come in a variety of shapes and are made from different materials to provide the proper cutting action for the procedure being performed. 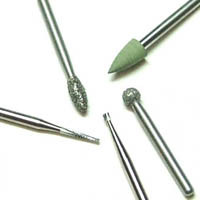 Dental Burs and Bur Systems can include Dental Bur Sets such as CAD/CAM Bur Sets, Restorative Bur Sets, Composite Finishing and Polishing Bur Sets, Porcelain Finishing and Polishing Bur Sets, Preparation Bur Sets, Provisional Bur Sets, Specialty Bur Sets, Endodontic Bur Kits, Orthodontic Bur Kits, Veneer Preparation Bur Sets, as well as Dental Preparation Burs made from carbide, titanium or diamond, Dental Surgical Burs, Surgical Ceramic Burs and Surgical Zirconia Burs, Endodontic Burs such as Endodontic Access Burs, Endodontic Bur Kits and Endodontic Specialty Burs, Finishing and Polishing Burs including Finishing Carbides and Finishing Diamonds, Soft Tissue Trimming Burs, Straight Handpiece burs, as well as the Dental Bur Blocks used to hold the burs and Dental Bur Sterilization Systems.